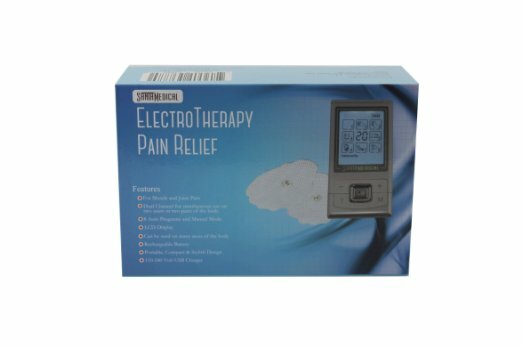 I just got this tens handheld electronic pulse massager from SantaMedical and it has really helped with my back and hip pain. I was advised to get a tens massager from my doctor and physical therapist and so I’m so glad I found this one from SantaMedical. SantaMedical has great high quality health products, I actually have several of their other products and use them all the time and have never had any problems with their products. The tens massager is high quality and works great. You simply use the included medical pads and attach them to the area you would like to massage. The tens massager has a bunch of different functions. You can select which area you want it to massage as well as if you want it to massage, chop, or knead. You can then also select the intensity of the electronic pulse. I was actually taken by surprise the first time I used this at the intensity of the pulsing so I would start low and then more up gradually. You can purchase this unit on Amazon!